Full disclosure: 2016 has given me a Doctoral crash course in navigating seriously wrenching financial, personal, and emotional loss, especially in the last two months. So for me at first blush, the recent deaths of Leonard Cohen and Sharon Jones—right in time for the holidays— just felt like two more reasons why 2016 could make anyone hole up in a bar and blubber like a bullied schoolchild. But amidst a stroll through the darkness last night, under the downcast beauty of streetlights on wet pavement as autumn was placing her bracingly cold palms on my face, I had an epiphany. 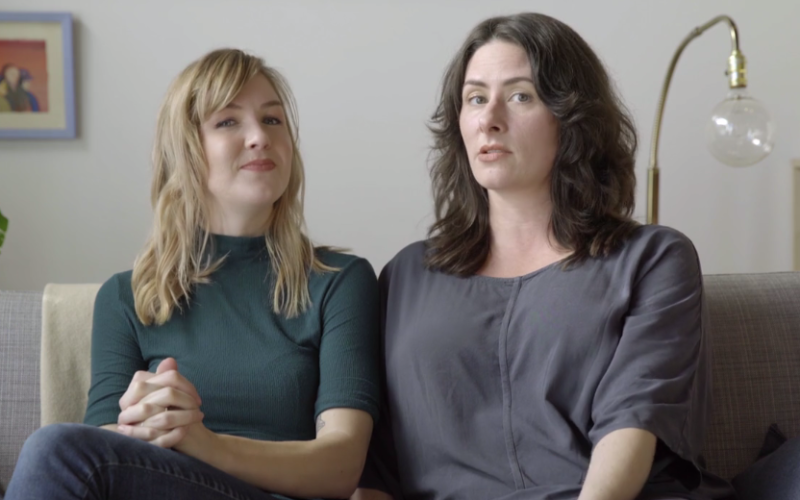 As painful as it is to exist in a world where Sharon Jones and Leonard Cohen no longer walk among us, the reason their passings sting so acutely is because, for a brief and shining moment in this world’s long and tumultuous existence, these two troubadours existed on this plane in the first place. And the fact that we have their respective creative outputs at hand to cherish indefinitely needs to be celebrated—in direct and exultant rebuttal to all of the sorrow surrounding their passings. On the face of it, you couldn’t find two more different human beings. Cohen was an urbane intellectual, a writer born into a well-to-do upper middle-class Jewish household in Montreal. 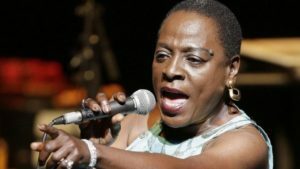 Sharon Jones, meanwhile, was an intelligent and down-to-earth member of the working class who spent her childhood years as one of ten kids (five siblings, four cousins) in a family that shifted from North Augusta, South Carolina to Brooklyn when she was still a child. That incalculable, innate creatives’ need to express truths threaded through both of them. Cohen became enchanted with the power and infinite nuances of language and storytelling early on, honing his writing to the tune of four books of poetry and two novels by his mid-thirties. Jones sang in gospel choirs from a young age, and even during her years punching the clock as a corrections officer and an armored car guard, she threw herself into talent shows and session work as a backup vocalist in her off-time, more to feed her soul than to line her wallet. The two of them also found their their respective callings as professional musicians later than most. Leonard Cohen recorded his first proper musical album, 1967’s Songs of Leonard Cohen, at age 33, and Sharon Jones was positively ancient (40 years old) when she blew the minds of Philippe Lehman, founder of the late, great Pure Records, and future Dap-King/Daptone founder Gabriel Roth during session work for Lee Fields. 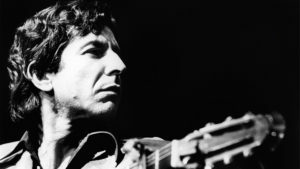 Cohen, of course, went on to become one of the most influential songwriters of the last 50 years, massively impacting everything from folk to underground rock to the darkest recesses of goth music as one of rock music’s true poets (at the risk of blasphemy, Dylan’s just a skin-deep dilettante by comparison). And Jones’s force-of-nature voice and fireball onstage presence was the inarguable engine that’s powered a freight train of heartfelt, back-to-basics neo-soul and funk that’ll arguably keep me (and a whole lot of other human beings) dancing, for as long as ears can hear noises that telegraph joy, pain, love, and romance directly to the hips via the soul. In lieu of offering some comprehensive career overview for both of these vital human beings, I’m more inclined to throw down a couple of quick album recommendations from my cramped but wistful fanboy vantage point. Cohen’s massive catalog is eminently worth exploring stem-to-stern, but for my money, it’s essential you seek out the two albums that bookend his career first. His debut, Songs of Leonard Cohen, serves up ten of the most poetically eloquent and moving songs a singer-songwriter’s ever committed to posterity. His lyrical voice was already in full flower, focusing in microscopic detail on remembered love affairs (“Suzanne“) and the wounded romance of a war-torn city (“Stories of the Street“) with the most literate yet relatable eye. You Want It Darker, his final album, dropped just over a month ago, and it really feels like it summarizes every millisecond of the man’s mythic poet’s life in sparse but rich fashion. His elegantly weathered and affecting voice conveys worlds, especially backed by a sensitive production compliments of his son Adam. Jones’s body of work with the mighty Dap-Kings isn’t as deep as Cohen’s, but it’s staggeringly consistent in its own right. If you aren’t yet a believer, get thee to Jones and the Dap-Kings’ full-on debut Dap-Dippin’ with Sharon Jones and the Dap-Kings, a steamroller of a soul record that includes a cover of Janet Jackson’s “What Have You Done for Me Lately” that could work up a naked eskimo into a sweat. At random, I’ll give the other essential starter slot to 2010’s I Learned the Hard Way, whose smooth, sensual grooves house “The Game Gets Old,” an epic ode to heartbreak that’s as bittersweet as dark chocolate. I have no idea if Sharon Jones and Leonard Cohen ever crossed paths. But both of these emotional cartographers rendered the map of the human heart in their own way, with incredible fidelity and impossible beauty. And as much as their passings hurt, they each put me (and a lot of other people) in touch with what it means to be human and vividly aware of the pain and magic that go hand-in-hand with that humanity. It’s a duality that Cohen himself captured perfectly in the most perfect of an infinity of brilliant lyrical lines.